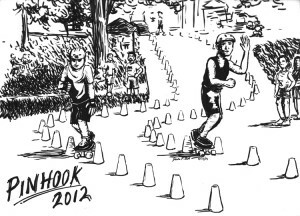 The 2013 Pinhook Slalom Open is tomorrow, and I’m going to be there! 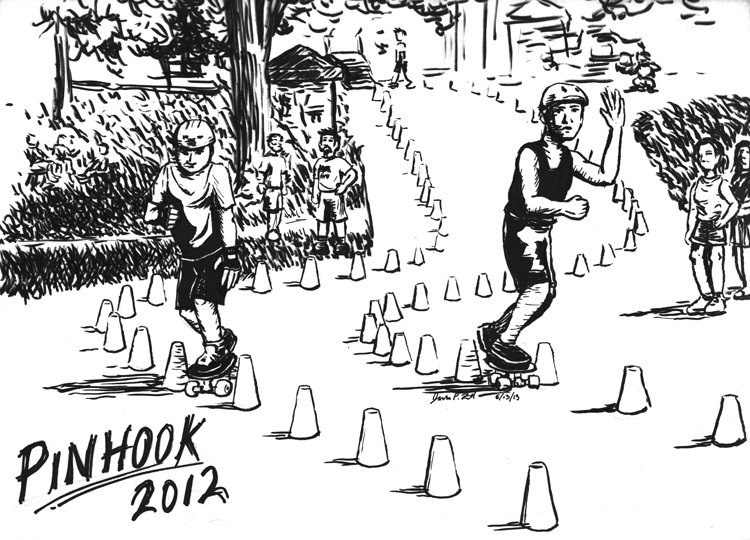 You may recall Sketch Comedy partnering with Envision Skate Collective last year to promote and support Pinhook 2012, and this year we’re doing it again. First, we’ll be selling the original art shown above and donating the proceeds to charity:water. Additionally, I’ll be hanging out at the race, bringing t-shirts and original comic strip artwork and generally having a great time chilling with cool people. The race begins at 10 AM Saturday morning (6/15), so come out, say hey, and watch some awesome downhill skateboarding races. Voyance Gratuite, do you mean Skip’s argument, or James’? Infos utiles. Espoir de voir plus de bons messages à l’avenir. which is probably really funny if you know French. A formidable share, I just given this onto a colleague who was doing just a little analysis on this. And he in actual fact purchased me breakfast as a result of I found it for him.. smile. So let me reword that: Thnx for the treat! But yeah Thnkx for spending the time to debate this, I feel strongly about it and love studying extra on this topic. If attainable, as you change into expertise, would you thoughts updating your weblog with more particulars? It’s highly useful for me. Big thumb up for this blog submit! So, stack on safes, is your colleague a gastroenterologist? I’m glad you found my fart-joke comic strip so informative, and I hope your friend got you the chili cheese fries. Honestly not too sure what the size of your thumb has to do with anything.